I played along with Club Scrap Card Sketch Challenge using the Shibori collection. 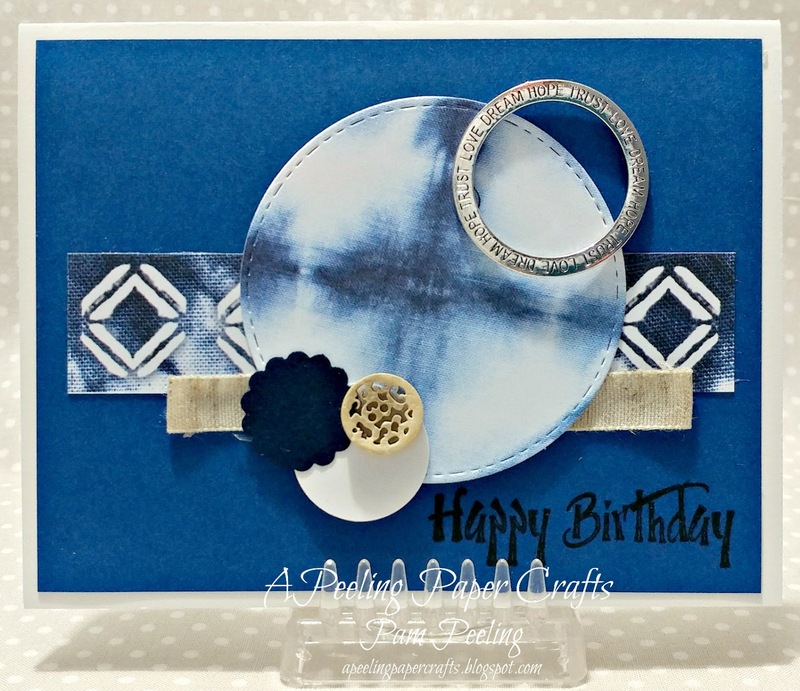 All papers are from the Shibori Page Kit. The small wooden button is from another Club Scrap kit-don't remember which one. Great card, Pam! Love your interpretation of the sketch.